Today, I will be reviewing TRESemme hair fall defense Shampoo. You all might be aware that they are recently launched in India and I was eager to try them. Their shampoos come in three variations Climate control, smooth and shine and hair fall defense along with the shampoo they have conditioners hair serums, repair masks etc. I have been using Tresemme hair fall defense shampoo for the past one month and it’s high time to share my experience and review this product. Just a trivia- TRESemme is a haircare products brand which was first manufactured by Godefroy Manufacturing Company in 1947. What the company claims-Targets your most damaged areas to strengthen and help restore your hair. 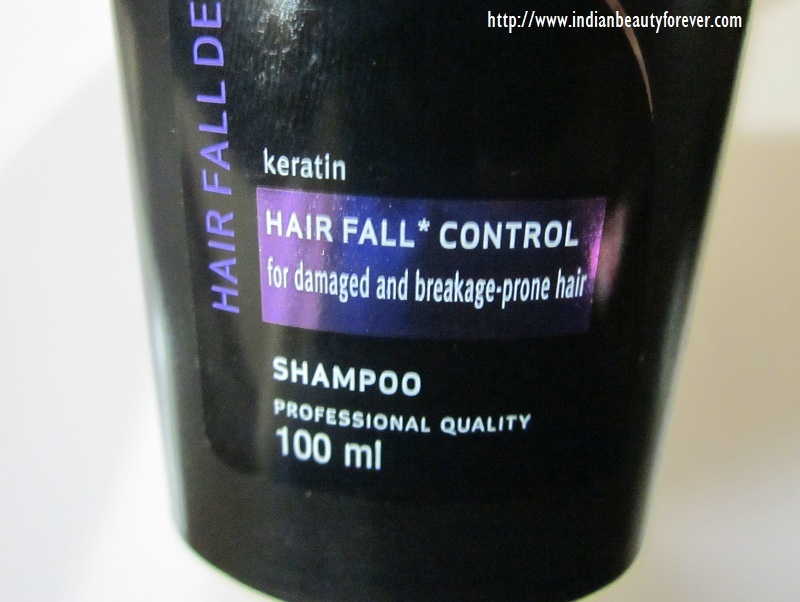 Gives you stronger, smoother hair with less hair fall due to breakage each time you shampoo. Gentle enough for daily use. 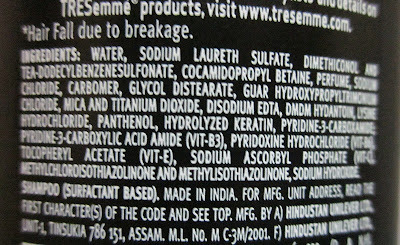 Ingredients of tresemme shampoo- See the picture. 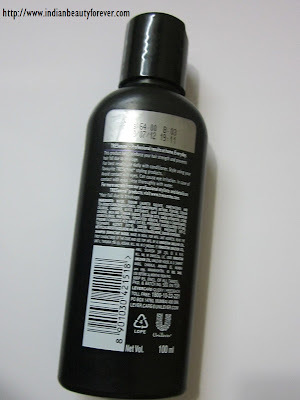 My experience- When this tresemme shampoos and conditioner range was launched here, I thought of using tresemme hair fall defense shampoo first since I was suffering from hair fall. I know you can lose up to 50-100 strands of hair per day and that’s absolutely normal but when you have voluminous hair and suddenly one day, you realize that out of your negligence and styling, you are left with only half of them, then you can go all the way to stop it and even a single strand can make you feel like crying. 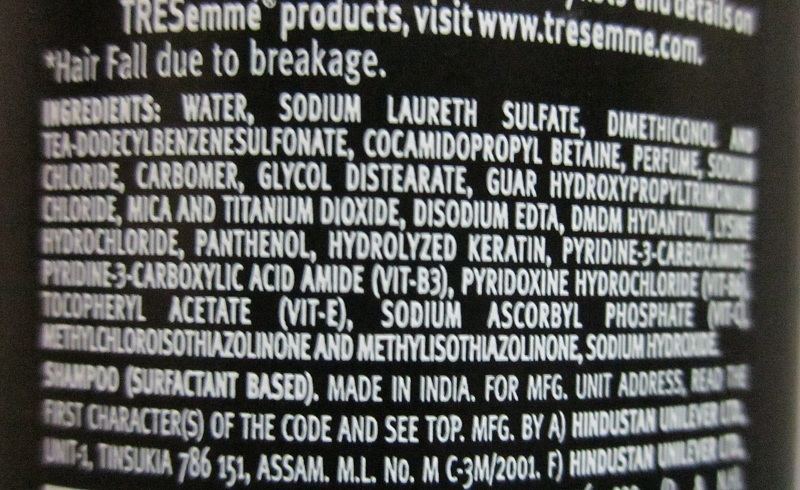 Tresemme shampoo has all its ingredients listed on the packaging. Earlier, I was thinking of this range to be a bit pricey but 64 INR for 100ml pack is not only reasonable but way too cheap as to what other shampoos are currently there in India. It lathers adequately so a moderate quantity would be enough to have a complete hair wash. Well, to be honest, it does the same job that most of the shampoos like dove, Pantene etc does or possibly I am not able to gauge any significant difference. I realized that most of these shampoos have similar ingredients but may vary in percentage included. But what I really liked about this shampoo is that once you are done with it, you will not need a conditioner so, I have skipped conditioners and once in two weeks I go for a deep conditioning treatment. Regarding the hair fall, there are so many factors that effects hair fall from the roots and Shampoos can possibly prevent hair fall due to breakage and that's what it claims. It is cheap and available in shops and online. Fragrance is nice and not over powering. I did not feel the need to use a conditioner. but that should not be skipped one of my blogger friend suggested. It helps in controlling the frizz to certain extent. Price is reasonable for the quantity which makes it affordable. 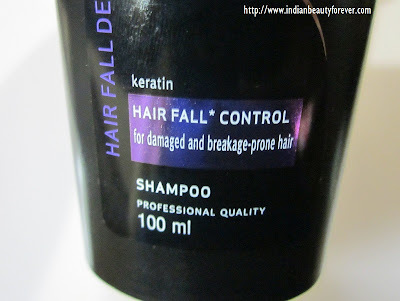 Controls hair fall due to breakage as it claims. My take – I personally could not find any cons, it’s an affordable shampoo so, if you are looking for a decent shampoo from a good brand then do try it.. I find it similar to our Dove, pantenes etc which most of us use or have used. I like the changes on your blog! You too Have a nice weekend !!! Nice review... but try to condition the hair even if it is a really wonderful shampoo. :) Just my suggestion. I was looking for a new shampoo I think I wll give this one a try. I had been facing issues wid hair fall recently. I picked up Loreal Hair fall control last week. Will try this as soon after your review. Glad it worked for you. ad tried the Tresemme color protect shampoo in 2008, got it from the US but made my hair harder than dry grass :) Didn't know at that time that it is a renowned brand. I am nw suddenly hearing good reviews about the range launched in India. Btw, I really liked the changes in the blog look. Good job :) ! Thank you so much Gagan, Its a decent product and quiet affordable. What were the DIYs that worked for you?